Duncan Watmore believes Sunderland have pulled off a major coup attracting David Moyes to the club – as he targets a run in his side. The 22-year-old scored twice from the penalty spot in last night’s 2-0 friendly win over Stade Nyonnais, the opening game of the week-long training camp in France. The livewire forward impressed, leading the line in a youthful team – the first side named by Moyes since he took charge after Sam Allardyce left for England. Watmore revealed that Moyes has made an instant impression on the squad at their base on Lake Geneva, with the former Manchester United boss wasting no time getting his ideas across. And the England Under-21 international hopes to have caught his eye with his brace as he targets an extended run in the side following his breakthrough year last season. The lively Watmore said: “It was definitely a coup to get him in as manager. “He has a wealth of experience with some big clubs and the lads are all really looking forward to working with him. “The club have made a really good appointment and we are all looking forward to impressing him and getting some wins when the season gets going. “We are all very happy for Sam. To manage England is his dream job, as he said himself many times. “Sam was really good for me and my development. “Of course we were sad to lose him from here, but I’m sure he will do well with England and we are now looking forward to working under our new manager. “He has really impressed us all since he came in and while obviously it has only been a couple of days, we are already getting new ideas of how he wants us to play. “This week away in France is a great chance for us to get to know him and vice versa and learn from his ideas. Watmore is wary of putting additional pressure on his own shoulders by setting goal targets for the upcoming 2016-17 season. His only target is to get more game time. “I want to play as much as I can and that is my target – to play as many games as I can,” added Watmore. “I want to improve and hopefully I can do that under the new manager. “I don’t set goal targets. 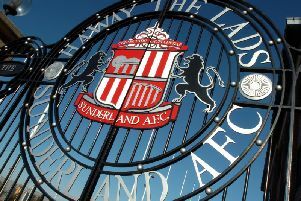 The Sunderland players were back on the training ground today ahead of tomorrow night’s friendly against French Ligue 1 club Dijon FCO at the same Stade Camille-Fournier Stadium. “I really enjoyed the game and thought we did well,” added Watmore. “Pre-season is all about getting the fitness in, implementing the manager’s ideas and we won, so it was a positive night all round.